If you know the songs “Taking a Chance on Love”, “I Can’t Get Started”, “April in Paris”, “What Is There To Say”, or “Autumn in New York”, then you are already familiar with the music of legendary American songwriter Vernon Duke. As a popular songwriter, he collaborated with Johnny Mercer, Ira Gershwin, Ogden Nash, Sammy Cahn, John Latouche, and Yip Harburg, and wrote celebrated scores for Broadway and Hollywood. 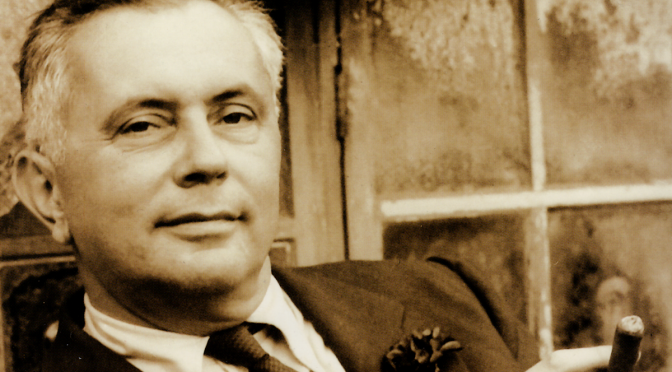 What you may not know is that he was born Vladimir Dukelsky, admitted to the Kiev Conservatory at age 11, where he studied composition with Reinhold Glière and met his older colleague and lifelong friend Sergei Prokofiev. His family escaped Russia during the revolution and arrived in America in 1921, and within a year had befriended a musician named Jacob Gershowitz (you know him as George Gershwin), who persuaded him to Americanize his name and write for musical theater. Duke gained fame and fortune as a songwriter, but continued to compose concert works and Russian poetry under his original name. His “serious” music, stylistically similar to that of his friend Prokofiev as well as Shostakovich, also contains flashes of the American style of Roy Harris, Peter Mennin, and their mid-twentieth century contemporaries, balanced with elements of the late Russian romantic style. And it is of such fine quality and compelling listenability that the neglect of these works is scandalous. 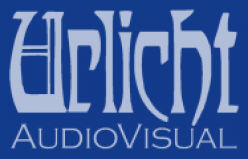 Urlicht AudioVisual is pleased to announce the world premiere recording of Duke’s Violin Concerto, along with Capriccio Méxicano and Hommage to Offenbach. Also featured are Duke’s Violin Sonata (commissioned by Roman Totenberg) and the Etude for Violin and Bassoon. Duke wrote [it] at the suggestion of Jascha Heifetz and completed the piano score in 1941. The full score was not finished until shortly before the premier performances, given in March 1943 at Symphony Hall in Boston by my mother, violinist Ruth Posselt with the Boston Symphony Orchestra and my father Richard Burgin at the podium. Duke had met my mother in late 1939 and greatly admired her playing. He attended her premier performances of violin concertos by Walter Piston (1940), Paul Hindemith (1941) and Samuel Barber (1942), which together had established her reputation as a major champion of contemporary American violin music. When Duke approached Posselt about introducing his concerto with the BSO, she responded with enthusiasm. [In a rather bitter prior episode for Duke, Heifetz had declined to premiere the work as it wasn’t “completely to (his) liking”; more to the point, Heifetz probably just didn’t want to pay the commission.] My mother received the manuscript of Duke’s concerto in early 1942, and that summer, played it (with piano) – “two times through” – for Koussevitzky, Duke and others at the conductor’s home in Tanglewood. The concerto aroused great enthusiasm, and Koussevitzky programmed the work for the BSO for the spring of the 1942-43 season. 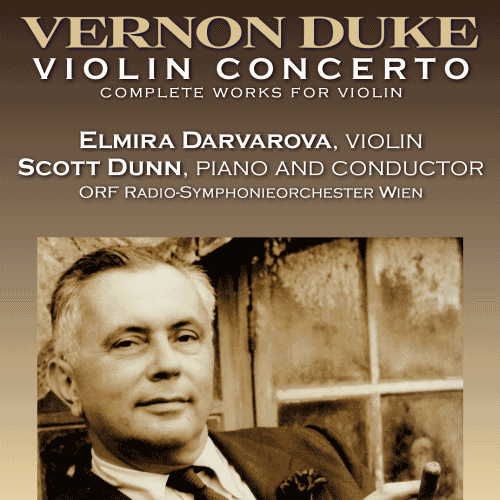 Duke’s four other works for violin are equally appealing and listenable, including the late Hommage to Offenbach, a humorous and endearing three-movement suite for violin and piano that was discovered in the Library of Congress by violinist Elmira Darvarova while researching other works for this CD. Ms. Darvarova, a student of Yfrah Neaman, Henryk Szeryng and Josef Gingold, created a sensation as James Levine’s hand-picked concertmaster for the MET Orchestra – the only woman to have ever held that seat – and founded the New York Chamber Music Festival, now seen as the official “kick-off” of the New York concert season, in 2010. She is accompanied at the piano and on the podium by dynamic American maestro Scott Dunn, arguably the foremost authority on Duke’s music for the concert hall, and a specialist in music by composers whose music straddles “traditional” concert works and music for film, television, and popular musicians. In addition to his position as Associate Conductor of the Los Angeles Philharmonic’s Hollywood Bowl Orchestra, he has recently also led the Boston Symphony Orchestra, Seattle Symphony, and Oregon Symphony. New York Philharmonic Assistant Principal Bassoonist Kim Laskowski is one of the most versatile musicians on the East Coast scene, whose playing can be heard on numerous television, radio, and film scores, and holds two platinum records for CDs recorded with the rock group 10,000 Maniacs. The ORF Radio-Symphonieorchester Wien is gaining international renown through its recordings and broadcasts, and defines itself in the grand Vienna orchestral tradition. Their eclectic repertoire runs the gamut from the central “classical” repertoire to contemporary works to music for Hollywood and European film. Their broadcast concerts and programs are heard not only on Austria’s ORF but throughout Europe.